Livestreaming coming to Hello Pal! Hello Pal v6.0 is now being released with a brand new Livestreaming feature, allowing you to broadcast yourself to the world and receive gifts (redeemable for cash) from other users! 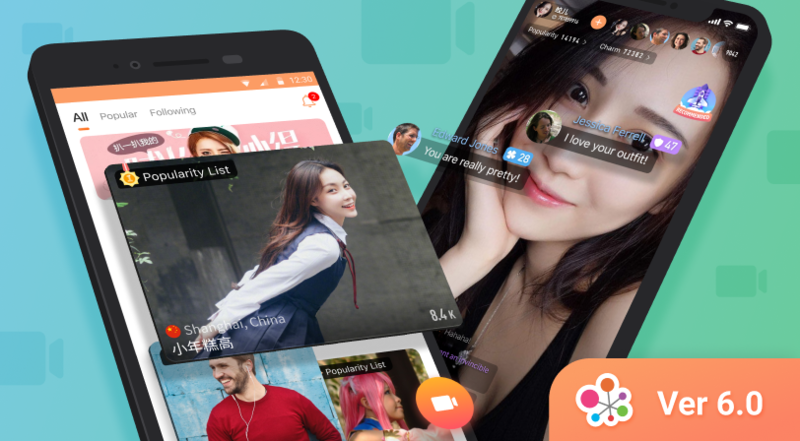 Note: Hello Pal v6.0 is currently only available in China. Rollout to most other countries is expected sometime in late May. Stay tuned! You can now explore live events and get a peek into your friend’s life by joining in their livestreams. Share your personal life with the Hello Pal community by interacting and making new friends. You can send gifts to your favorite livestreamer go live yourself to receive them. All gifts are redeemable for cash. And as always, we included many error fixes in this update. Make sure you update to the latest version so you won’t run into those pesky bugs!